Crystal clear skin after one bottle. Unchanged for over 35 years. 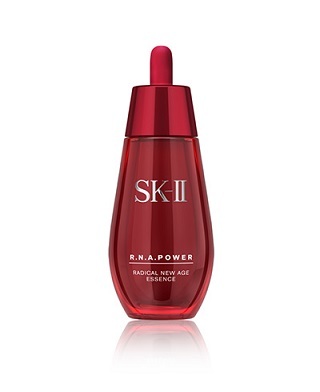 Facial Treatment Essence is SK-IIâ€™s signature and most awarded bestseller with more than 90% PITERA, a natural bio-ingredient containing vitamins, amino acids, and minerals. Improves your skin beauty even as you age. The same rich moisture your skin loves in a lighter texture you’ll love. 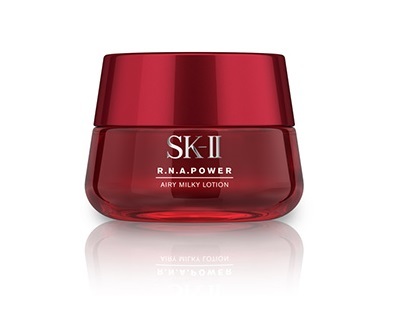 SK-II’s award-winning¹ Radical New Age skincare collection presents the new R.N.A.Power Airy Milky Lotion, a light moisturiser that improves skin beauty even as you age. ¹ R.N.A.Power Radical New Age, @cosme No.1 in milky lotion category (Aug 2015 - Jan 2016); R.N.A.Power Eye Cream Radical New Age, MAQUIA No.1 in eye care category (2016); R.N.A.Power Eye Cream Radical New Age, VoCE No.1 in eye care category (2016). 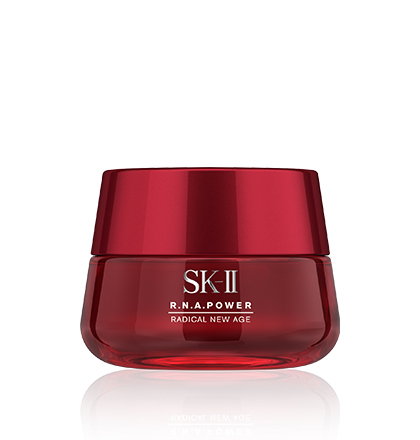 Improves firmness and suppleness for younger-looking skin. Featuring RNArchitect Complex², this moisturising cream helps to rebuild youthful beauty from within³. Wake up to supple and revitalised skin the morning after. In 10 days, signs of aging skin diminish so that skin becomes firmer, smoother, tighter, and more radiant³. After one jar, fine lines appear less defined. 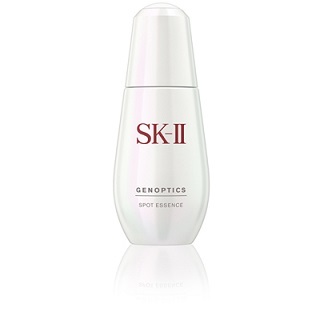 Switch on your aura with our signature product from SK-II's award-winning whitening boutique. 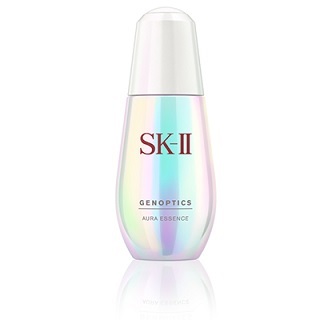 GenOptics Aura Essence contains SK-II’s latest breakthrough in whitening technology, which got 580 beauty awards in its history. 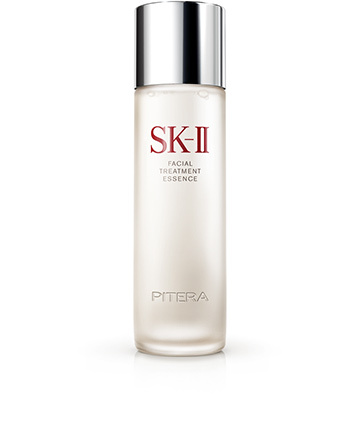 Re-coded with PITERA™ infused GenOptics Aura Complex, it reduces your skin's hidden and visible spot formations. Switch on your aura for skin that is radiant and brighter from within. Completes the cleansing ritual by removing residual impurities and dead skin cells. This effective toning lotion with a mix of AHA and PITERA™ exfoliates dead skin cells and impurities. Its clarifying formula prepares the face for the rest of your skincare regimen. With Spot Resist Complex and PITERA™, this targeted essence tackles age spots with precision, leaving skin looking brighter. 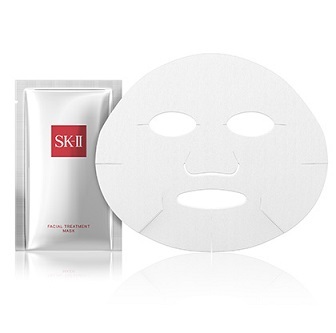 Improves firmness and texture for bouncy, pore-less skin so you look younger even as you age. Immediately upon application, each drop fills the gaps in your skin, making it firm, resilient, and feeling plump. Skin becomes smooth and tinged with a fresh morning glow the next day. One bottle reduces the appearance of pores and wrinkles⁵. ⁵ Based on clinical tests. 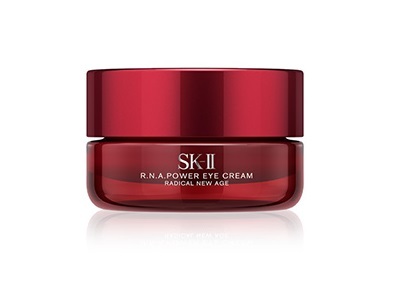 Improves firmness around eye area for a youthful look. Harnessing the power of RNArchitect Complex³ with Chlorella Extract and Palmitoyl Pentapeptide-4, this unique eye cream gives you firmness around the eyes while enhancing skin surface renewal. Immerse your skin in immediate moisturisation for a visibly radiant and crystal clear complexion. A luxurious facial mask with an indulgent concentration of PITERA™ in a single application. Your skin is immediately and exceptionally immersed in moisturisation, resulting in a visibly radiant and crystal clear complexion.